Please see our latest Message to Supporters for an update on the situation here. This follows the refusal of our Planning Appeal in 2016 and the subsequent Enforcement Notices issued by Dartmoor National Park Authority requiring us to leave the land. As Affinity Woodland Workers Co-op continues to own the land, we are still guardians of this place and will be visioning how we take that forward. We live on 32 acres of plantation woodland on a steep hillside, located in the beautiful Wray Valley on the edge of Dartmoor. 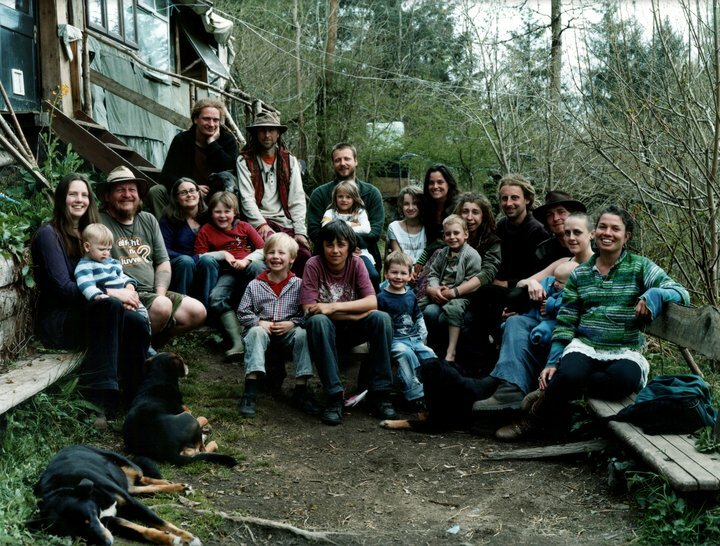 The community was founded in 2000 and is currently ten adults, three children and two teenagers. Volunteering - most of our visitors initially come as volunteers. We are currently takng a break from holding volunteer weeks. Group visits - we are visited regularly by groups (for example, students and young people). Please get in touch if your group would like to see the project. You can donate money to the project here.